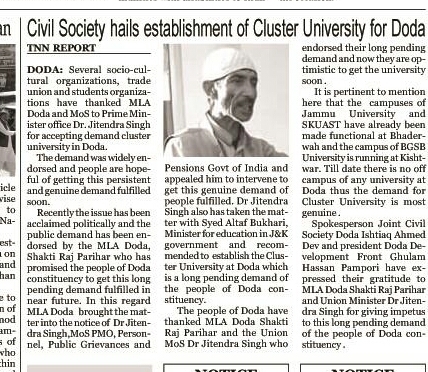 Civil Society Anticipating Cluster University for Doda . Doda::The demand for the establishment of a Cluster University at Doda has been widely endorsed and people are hopeful of getting this persistent and genuine demand fulfilled soon.The district headquarter Doda being a centrally located place has served as a center of activity since the erstwhile Doda district came into existence and keeping in view the topography and the age old communal harmony of Doda various socio-cultural organizations , trade unions and student organizations have been demanding the establishment of a cluster university at Doda. 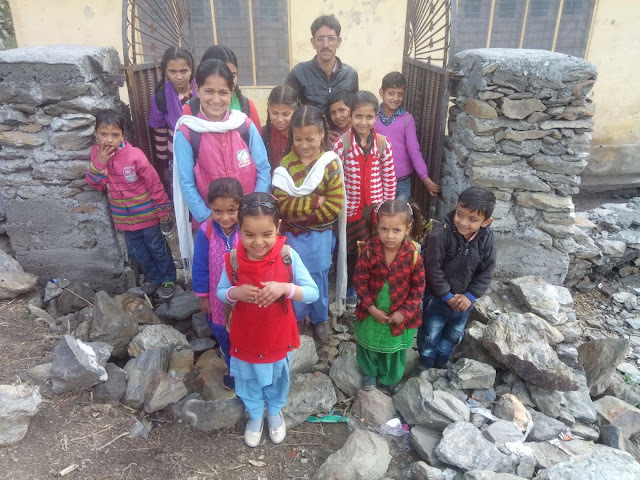 Besides the weather across Doda also remains favourable throughout the year. 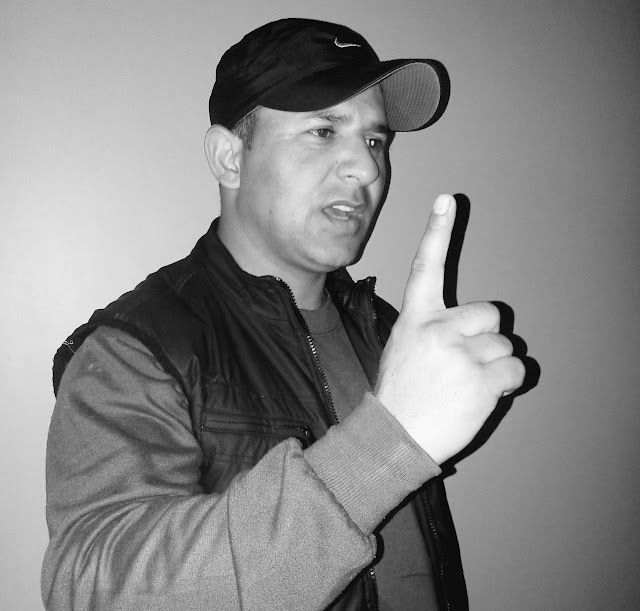 ADDRESS DEMANDS OR FACE AGITATION: Mr. Sajad Malik *Monthly meeting of AJKRETTF Doda*. *Monthly meeting of AJKRETTF Doda*. 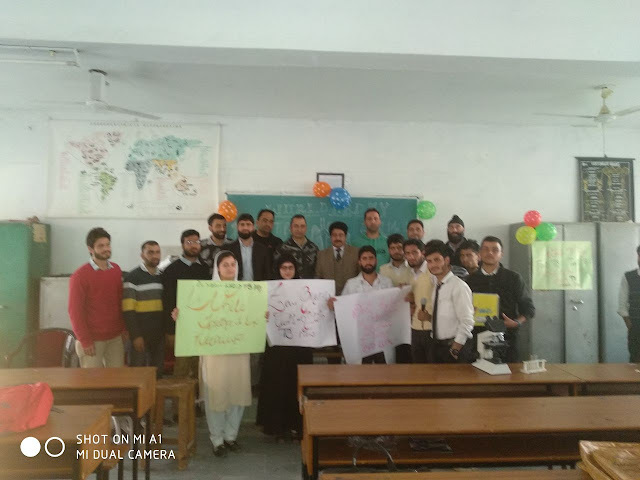 Doda::The World Tuberculosis Day was observed by the Department of Zoology GDC Doda under the theme of "Wanted: Leaders for a TB-free world". The function was presided over by the Principal Dr Shafqat Hussain Rafiqi. A Symposium and a Skit were organized on this occasion. 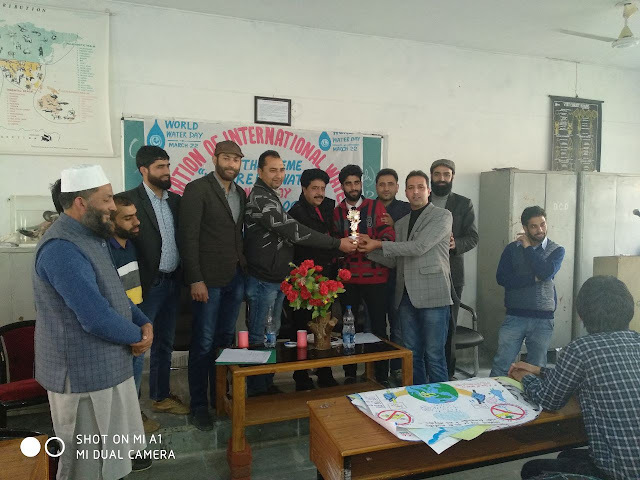 Doda::Under the patronship of principal GDC Doda Dr. Shafqat Hussain Rafiqi, World Water Day 2018 was celebrated by the Deptt. of Zoology under the theme of "Nature for Water". A poster making competition and a symposium were organized on this occasion. 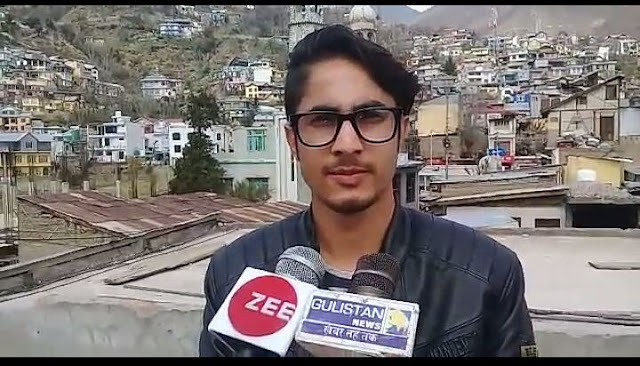 Warrior cup 2018 concluded at Doda. 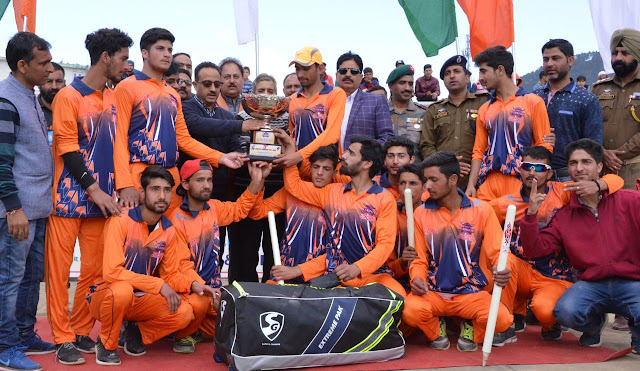 Warrior cup 2018 concluded at Doda.PAMPORI NEWS AGENCY DODA Doda, March 08:Warrior Cup 2018, a month long cricket tournament organised by Doda Warrior Sports club concludes today at sports stadium Doda. District Development Commissioner Doda Bhawani Rakwal was chief guest on the occasion. 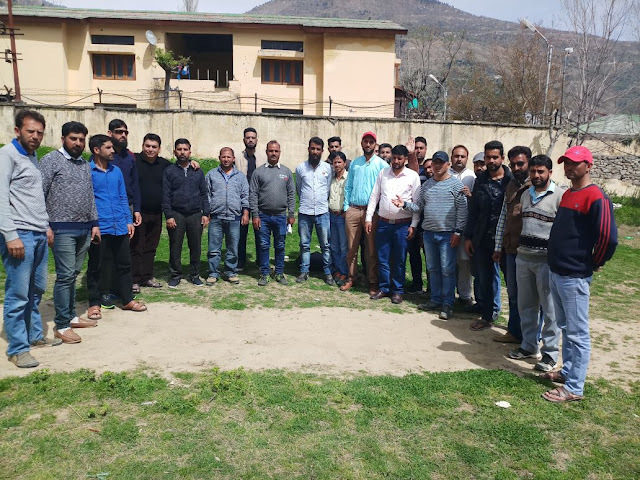 Besides ADC Doda, Superintending Engineer Hydraulic Circle Doda, Executive Engineer PHE Division Doda, AEE Fayaz Mehta, DySP Hq, DYSSO Doda and other Distt officers were also present to witness the final match. 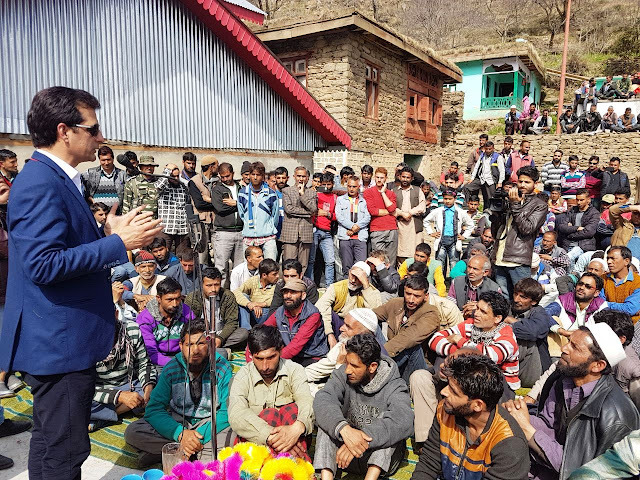 The tournament was organised by the Deptt of PHE, Irrigation and Flood Control in collaboration with Capacity Communication Development Unit (CCDU) with a view to create awareness regarding water conservation among general public. 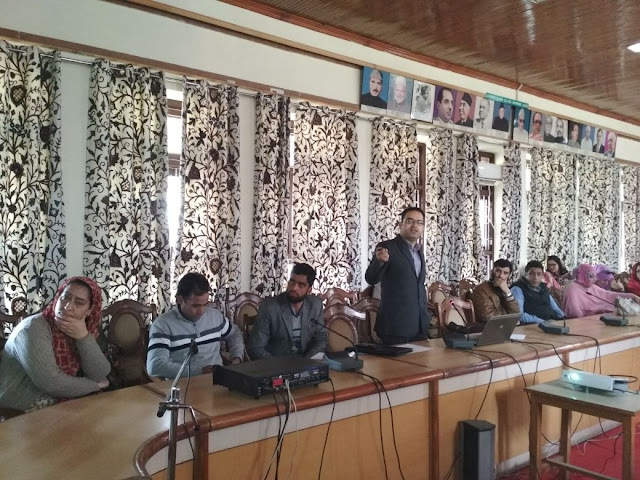 Link Roads Works As The Life Line But Becomes Dead Line :: DRYWABY ABID PAMPORI Doda::March 03/2018 State President District Rural Youth Welfare Association (DRYWA) Mr. Farid Ahmed Naik said that roads play an important role in the process of development and indirectly responsible for the economic growth of the particular area. 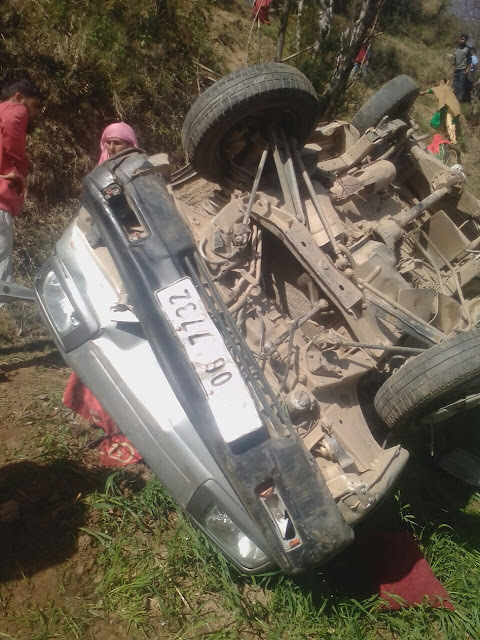 But during bad weather or rain links roads works as the life line becomes dead line. So it is very important to maintain roads from time to time to ensure public safe .Farid Ahmed Naik also said that the poor conditions of link roads in rural areas is still remain one of the main problems of the commuters who used to visit daily in different parts of the district.Farid Ahmed Naik added that the drainage system along the link roads is a very big problem faced by the local peoples of rural areas of our district. People feel insecure till reach the destination.